with your 2016-2017 state officer team. Sophie Sun is a senior at Dulaney High School in Baltimore County and is thrilled to see what the 2016-2017 year will bring. 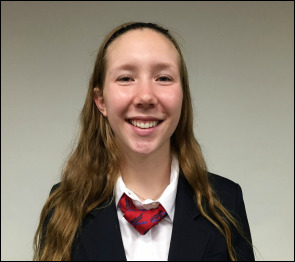 She joined FBLA as a freshman when she learned that FBLA would be an integral part of her life forever because of the people, experiences, and connections that she took away from each conference. She hopes to convey the message that choice is significant: you choose whether or not you’re persistent. You choose whether or not you’re dedicated. You choose whether or not you’re confident. She is eager to continue the legacy of leadership with Maryland FBLA and to make this year’s FBLA remarkable! 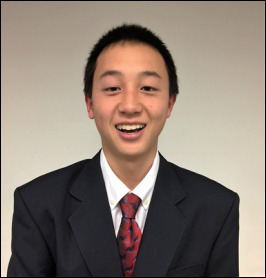 Jonathan Zhao, a senior at River Hill High School in Howard County, is very excited to be serving as your 2016-2017 State Vice President. His involvement with FBLA started in the freshman year, where he was first introduced to the many workshops, conferences, and opportunities FBLA offered. Since then, he has become a more active member, attending regional, state, and national conferences, as well as helping out his local chapter. When not working on FBLA, he enjoys swimming and participating in other various school clubs. Along with the rest of the officer team this year, Jonathan is ready to lead Maryland FBLA and leave his legacy of leadership. 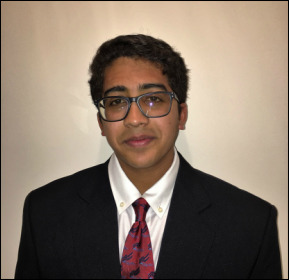 Rishub Nahar, a senior at Urbana High School in Frederick County is honored to serve as your state secretary- treasurer for the 2016-2017 school year. 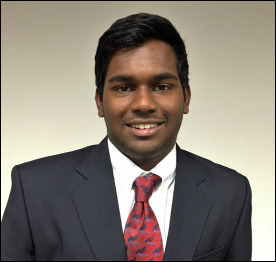 As a sophomore, Rishub helped revive his school's dormant chapter and reached nationals for its first time. He's had the honor of placing first in the state for his events in the past two years. His goal is to empower other students to start and revitalize their own chapters so that everyone has the opportunity to achieve a legacy of leadership. Prateek Swamykumar, a senior at River Hill High School in Howard County, is extremely excited to be serving as your 2016-2017 State Reporter-Historian. Prateek joined FBLA during his freshman year when he was introduced to the many opportunities FBLA offered. Since then, his passion for FBLA has grown by attending regional, state, and national conferences. This passion ultimately led him to pursue both local and state level officer positions. During his free time, Prateek enjoys playing tennis and basketball. He is extremely excited to lead Maryland FBLA and leave his legacy of leadership. Sofia Encarnacion is a junior at Dulaney High School in Baltimore County and is eager to serve as the 2016-2017 State Parliamentarian. 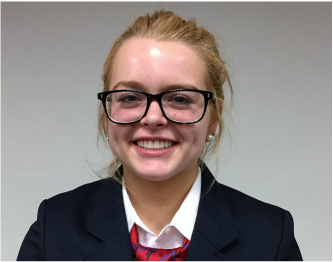 Her passion for FBLA began her freshman year when she was elected as one of her chapter's Vice Presidents, causing her to have a deeper appreciation for leadership. After attending regional and state conferences, she was motivated to contribute more to the FBLA experience and inspire others to lead. 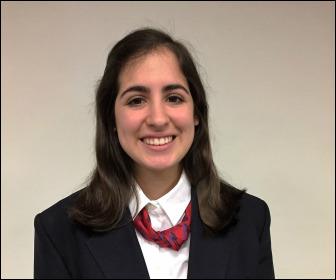 Sofia hopes to promote Maryland FBLA's legacy of leadership and make this year memorable. Katrina Eisentraut, a junior at Middletown High School in Frederick County is eager to serve as your 2016 - 2017 Region 1 Vice President. Since joining FBLA her freshman year, she has been able to witness the opportunities and skills this organization provides for students. She herself thanks FBLA for allowing her to grow as not only a student, but as young adult preparing for the work force. She looks forward to being able to grow even more alongside fellow students and her fellow Maryland State officers. Katrina hopes to make this a great year for all! 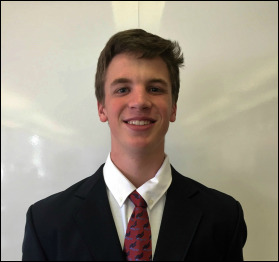 Luke Sturiale, a senior at Dulaney High School in Baltimore County is very excited to be able to be a part of FBLA's 2016-2017 year. He joined his local FBLA chapter as a freshman and has since been fascinated by the doings of this prestigious organization. Through FBLA he found a passion he intends to pursue through and after college, and he hopes to bring this same experience to others. Luke is very excited to work with the rest of his FBLA officer team and make this upcoming year a year to remember. 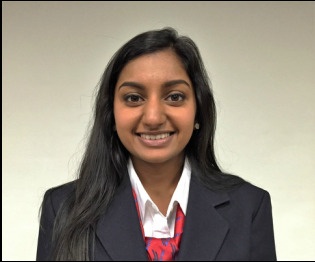 Retu Domnic, a senior at North Caroline High School, is honored to serve as your 2016 – 2017 Region 3 Vice President. She has been a member of FBLA ever since her sophomore year. Since then, she has been elected as her local chapter's vice president and has grown immensely in her leadership skills from when she first joined FBLA. Her freshman year, she won first at regionals in Health Care Administration and won second in her region in Parliamentary Procedure last year. She is eager to work with the other State Officers to make the 2016-2017 year an amazing year for Maryland FBLA! Tiffany Jackson, a junior at Northern High School in Calvert County, is honored to serve as your 2016-2017 Region 4 Vice President. Her involvement in FBLA started her freshmen year where she made it all the way to Nationals for Public Speaking I. In her sophomore year she received first place at the State Leadership Conference for her chapter’s Community Service Project. FBLA has opened her eyes to new opportunities and it has inspired her to step out of her comfort zone and work towards goals she never imagined she would accomplish. 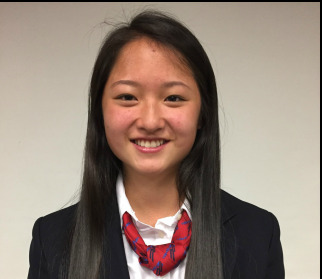 Tiffany looks forward to actively competing in Regional, State, and National Leadership Conferences as well as helping Region 4 to stand up, stand out, and stand together for Maryland FBLA to succeed in continuing the Legacy of Leadership. 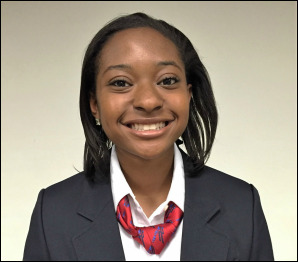 Lauren Prinn, a senior at Marriotts Ridge High School, is honored to serve as Maryland FBLA’s 2016-2017 Region 5 Vice President. In her first year of FBLA she was awarded 1st place in Digital Design and Promotion at the State Leadership Conference and was awarded 3rd place in Computer Applications in this past State Leadership Conference. She attended the National Leadership Conference her freshmen year where her passion grew for FBLA. Meeting all of the inspired members has encouraged Lauren in her journey as a local chapter officer to finally becoming a state officer. Lauren is so proud to be apart of making Maryland FBLA’s goals a reality this upcoming year! Maryland FBLA was established in April 1957, with the first chartered chapter at Forest Park High School in Baltimore. There are five administrative regions in Maryland FBLA, each headed by a Regional Vice President. In January and February, each region holds a competition to decide the members eligible to compete at the State Leadership Conference in the spring. Members placing first, second, third, or fourth in their competitive event at the SLC are eligible to compete at the National Leadership Conference hosted by National FBLA-PBL. Copyright © Maryland FBLA. All rights reserved.